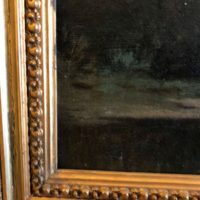 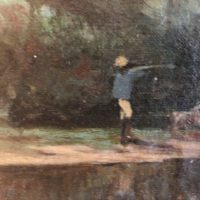 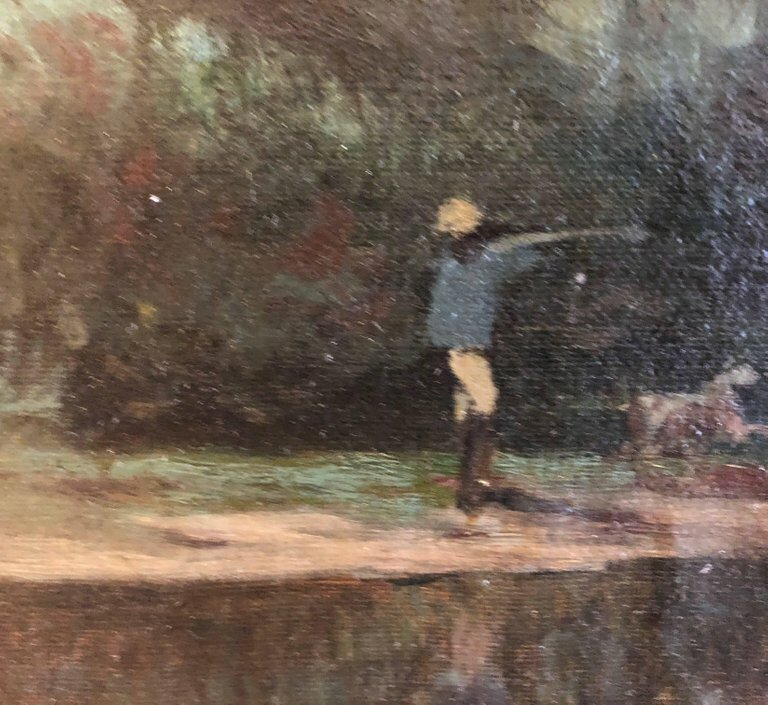 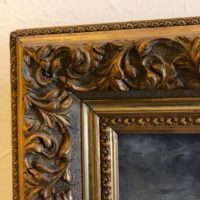 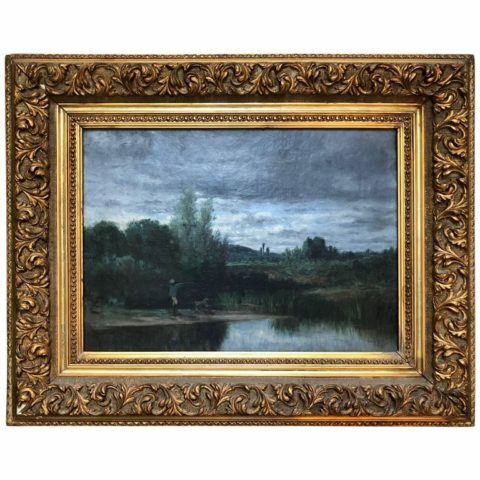 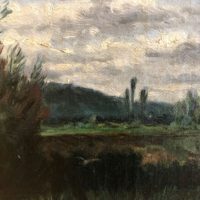 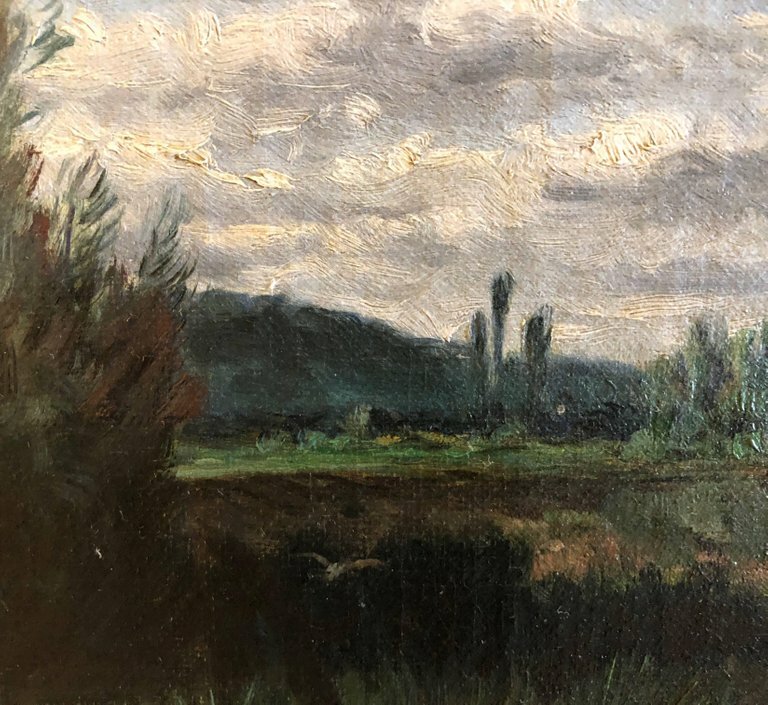 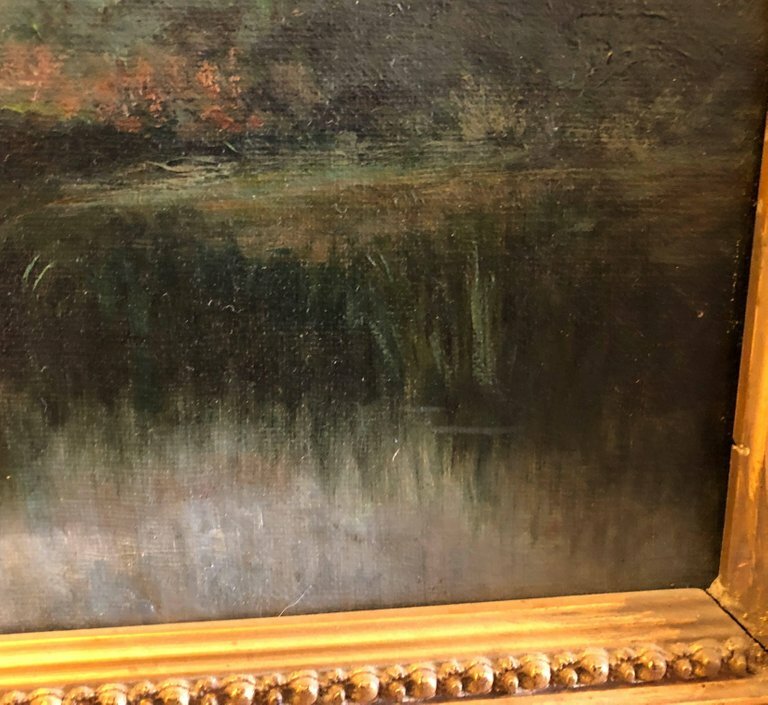 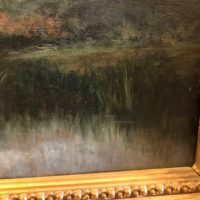 French 19th century Barbizon School oil on canvas in gilt frame of the same period. 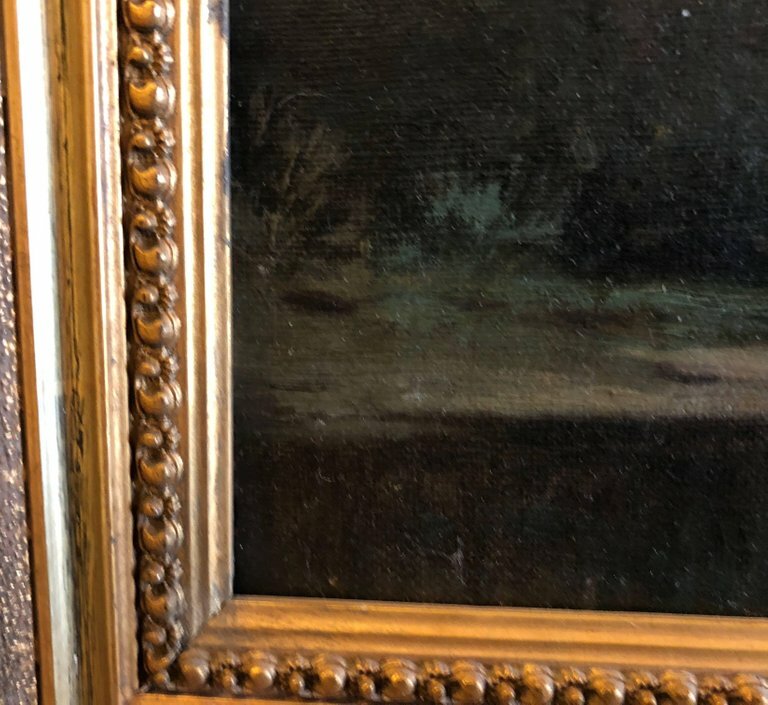 “Chaneur” written on the back. 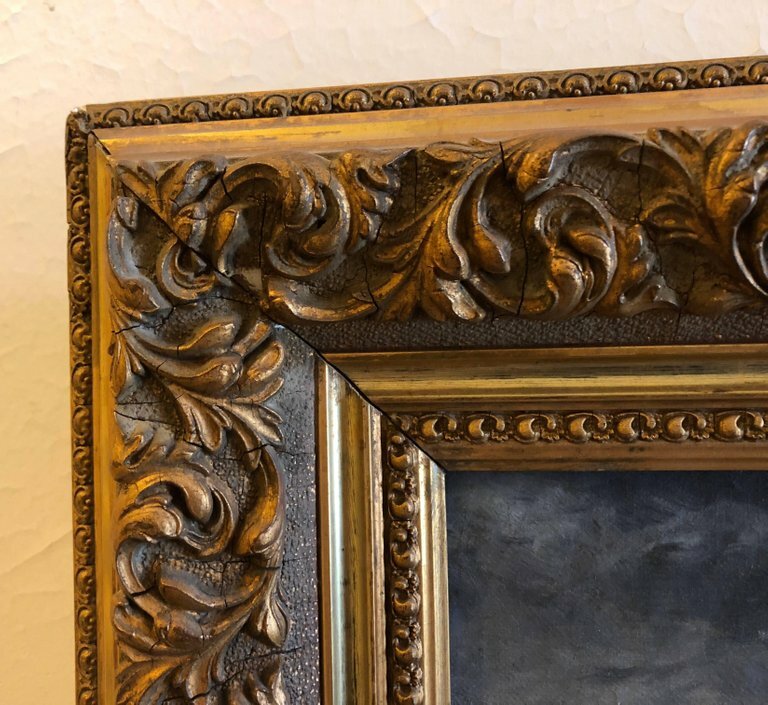 Actual image size: 11 x 16.